I have come across countless recipes for making this cake, it was really confusing which one to use. Anyway, I had to start somewhere so I picked this one which I found in a book at home, making some small changes wherever necessary. The main intention was to find out how good a substitute ripe banana is for eggs. Turns out, very! In my circle of friends there are some people who are strict vegetarians. When I want to bake them a cake on occasions it becomes a bit difficult. This recipe is a sure shot solution to such problems. Its one of the best eggless cakes that I have had. Simply because the texture was as good as the cakes that contain eggs. Puree the banana with the sugar and milk in a mixie jar. Beat the butter until light. Mix in the banana batter and the dry powder alternately into the butter and beat well. 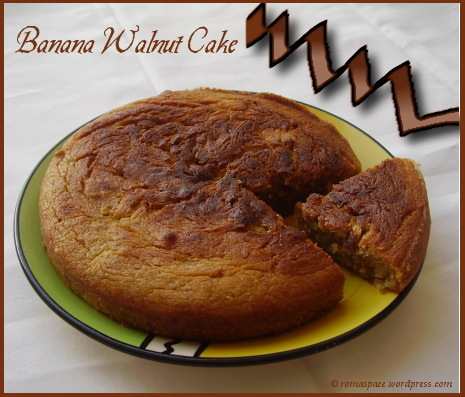 Dust the walnut slices with flour and mix them into the batter. Grease and dust a cake mould. Pour the cake mix into it and place in an oven preheated at 180 Deg C.
Bake at 180 Deg C for about 25 mins. Take the cake out of the oven. Brush the surface with milk and place back in the oven for about 5 mins. This will give it a shine and brownness on the crust. Take the cake out of the oven and cool on a wire rack. Cut out your slices and enjoy! I always wondered how the homemade cakes that are sold in the market ( yes, you read it right! 🙂 ) have such a glossy surface. I attempted the milk glaze which seemed really easy and safe to try. I was happy with the results as I got a good glaze on the surface without altering the taste. 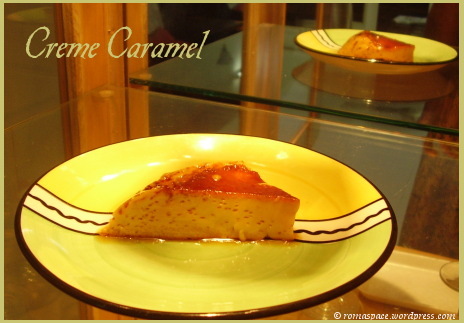 Creme Caramel is a French pudding which is really easy to make. I learnt this recipe from a show on TV , The Chef and his better half. They actually baked their caramel but I am used to steaming puddings so I went ahead that way. It turned out firm, yet soft. The caramel coat complemented the vanilla flavor of the pudding. The smooth texture and simplicity of this dish makes you want to make it again and again. This is my entry to the Steamed Dishes Event hosted by Srivalli. Boil milk , you can add cinnamon sticks to the milk and take them out once milk is boiled. Turn of the heat and add a few drops of vanilla essence. Beat eggs with sugar. Add small quantities of milk and continue beating. This is called tempering the eggs. Basically bringing them to the same temperature as the milk. Let the mix cool a bit. Now add some fresh cream and beat the mixture well. Once the egg and milk mixture is ready you need to caramelize the sugar. Take sugar in a pan and heat it till the sugar becomes a brown liquid or caramel. Pour the caramel into the pudding mould and let it harden. Now pour the milk mix over the caramel. Check with a fork if its done. If it comes out clean then its cooked else micro it for 5 mins more. Once the pudding cools overturn it into a vessel of your choice. The caramel will ooze out from all sides. Dont worry, thats the way its meant to be. Eggs need to be tempered as otherwise they will scramble due to the temperature difference. Try to use a steamer / cooker which best fits the size of the pudding bowl. This will ensure even steaming. I came across a recipe show on tv by the name ‘The Chef and his better half‘. They show you how to make dishes from international cuisines. The part I like the most is their desserts section. Most dishes are baked and very attractive looking. Yesterday when I went to the supermarket I found juicy oranges in abundance. The Orange pudd came flashing back to my memory. I picked up a kilo and got cracking. So here is yummy orange pudd for you. I didnt make the orange sauce though I’ll provide you with the recipe. Basically, I couldnt wait to dig into the pudd! Remove white fiber from the reverse of the orange rind by slicing through a knife horizontally. Chop the orange rind into fine pieces. 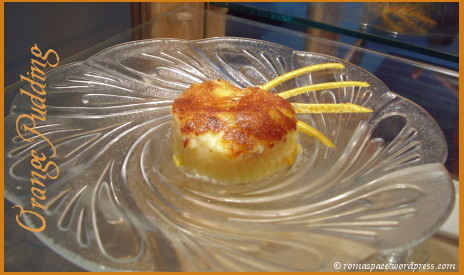 Mix pudding ingredients sugar, maida, butter with chopped orange rind. Mix in one yolk into the pudding mix. Beat well. Add orange juice and milk. Stir the mix. Add beaten egg white into it. Bake in preheated oven at 200 cel for 10 mins. Melt the butter. Fold the sugar in till it dissolves completely (You can add honey like an essence to the sauce). Add orange juice and cook till the sauce comes together. Moms are true role models for us in every way. We always want to be like them, whether in managing the house, bring up children or making food. In my childhood days I had the good fortune of having many delicacies like cakes, ice creams and pies freshly prepared at home. Mom had done a course in cooking. She even used to run Bakery/Cookery classes at home. As kids we never paid attention to that fact that we may need to pick up her culinary skills. Whenever she asked us to join her for a class we would ask her to call us when the dishes were done. Ohh! Wish I hadnt been so playful back then. I would have learnt a thing or two from the person who is an absolute genius when it comes to cooking. Even today I cant make cakes or ice creams like her but I am surely going to give it a try. I dedicate this months JFI- Love to my mother, the best cook I know. Jihva for ingredients is an online monthly culinary event started by Indira of Mahanandi. JFI-Love for the month of May, 2008 is being hosted by Pratibha and Jigyasa. 1. Boil the milk. Separately make a paste of sugar, cornflour and milk powder with a small quantity of milk. 2. Continuously stir the milk while putting the paste in. 3. 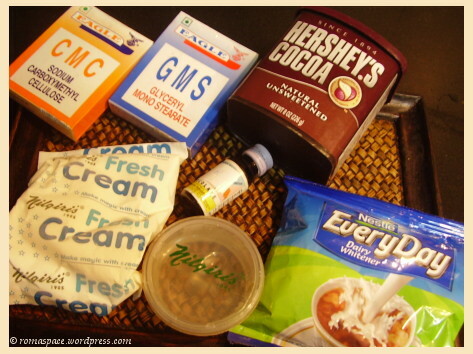 Mix the 2 chemicals CMC and GMS with little milk in a cup. Pour this into the boiling milk mixture. 4. Add one teaspoon of liquid glucous to the boiling milk mix. 5. Cool this mix and pour into an ice cream box. Increase temperature of freezer. Freeze the mix. 6. Once it becomes hard. Take it out and leave it outside for few minutes so that it can come out easily. 7. Break it and churn a bit. Blend into a paste in a mixie jar. 9. Put it back in the ice cream box and reduce the freezer temp to normal. 10. After 1-2 hrs check if ice cream has crystals. If so, churn it again and increase the temperature of the freezer. 11. 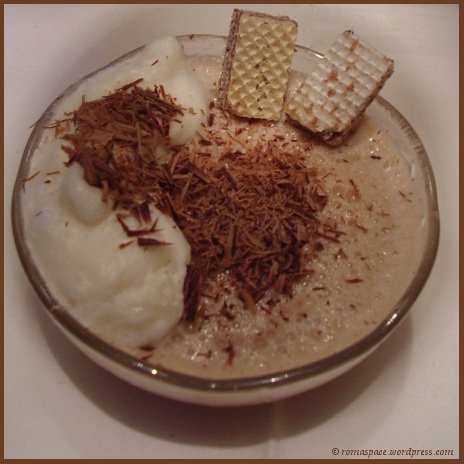 While serving garnish Ice cream with whipped cream, chocolate wafers and grated chocolate. You need to mix liquid glucous well in the hot milk otherwise it will form lumps. If you want you can mix it first in a small amount of hot milk and then mix that into the boiling milk. The same procedure can be followed to make all other flavors of icecream as well. You can make it with banana/mango/ any fruit of your choice. Just reduce the amount of sugar depending on the sweetness of the fruit used. The same old flavor of your favorite rasmalai can now be got very quickly and easily. Only constraint here is that you have to be an eggetarian to enjoy this short cut. I still haven’t been able to find something that can substitute egg in this recipe and still retain the texture of the end result. Mix milk powder with baking powder in a dry container. Beat an egg. Wet hands with the beaten egg and make a dough of the milk powder mix. Mix kesar in a small quantity of milk till it releases its color. Boil milk. Add sugar, kesar milk and elaichi powder to the milk and mix well. Make marble-sized pedas with wet hands and drop in boiling milk. Let it cook till the rasmalai bloats up and reaches the surface. Add khoya to the milk and stir till milk thickens. Cool and add gulab jal. Garnish with sliced pista and serve chill. Although one egg is beaten in this dish we may not use the whole of it. Care should be taken to make the dough with hands wetted with the egg mix. If you pour the egg into the milk powder the dough will become a batter and things might get out of hand. In any dessert, gulab jal should be added only after dish cools. In the above recipe I used Amul milk powder and was satisfied with the dessert. In the season when sweet red carrots are available this dessert is a natural choice. Though you can make it with orange carrots too the taste isn’t quite like the one you get with the red ones. Steam carrot till its soft. Heat ghee. Fry dry fruits and take them out. To the remaining ghee add grated carrot and fry till water dries up. Add roasted khoya and continue to cook for 5 more minutes. Finally add sugar, fried dry fruits and elaichi powder. Continue to cook till the halwa comes together. If you dont have Khoya you can use milk cream instead. You can freeze the cream that settles on top of the milk for a month or so and make this dessert. Only difference is that it will take a little longer to make than khoya and will be heavier too. 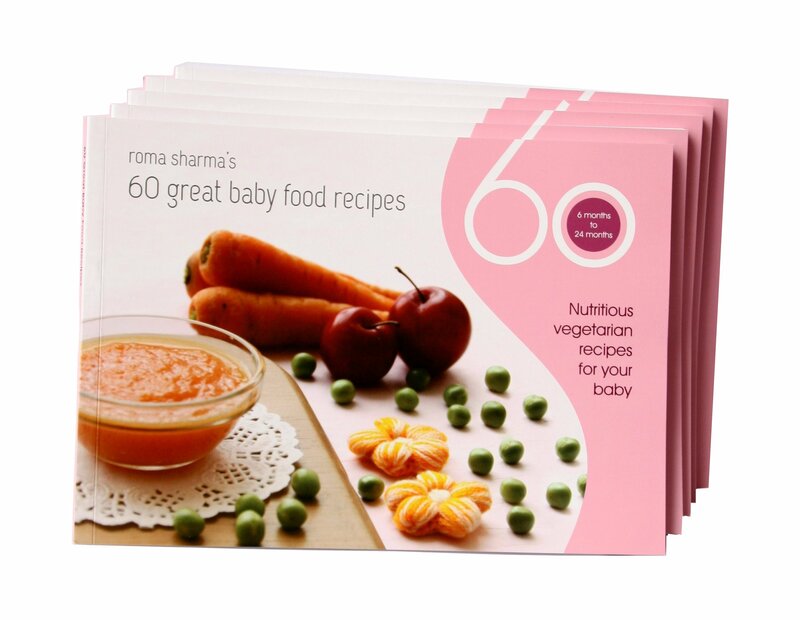 Porridge , Kheer or Payasam is the most common dish given to babies. There is a long list of base ingredients from which porridge can be made. In the description below, I have tried to cover most of them. The overall method is the same with only certain changes depending on the method of cooking the base ingredient used. After boiling any of the kheers mentioned below you can add soaked & ground almonds, elaichi powder and jaggery till it thickens. Roast in ghee till it becomes brown. Boil in milk till it softens. Gives good relief to children who are suffering from loose motions. Soak sabu dana for 3-4 hrs. Boil in milk till it becomes transparent. Wash rice and dry it under the sun. Fry it in ghee and coarsely grind. Boil in milk for approx 10 mins till rice becomes soft. Fry in ghee for few minutes till it becomes opaque. Add milk and cook till the kheer starts thickening. Soak for 3-4 hrs, grind coarsely. In a teaspoon of ghee fry the wheat till it drys up. Heat ghee in a kadai. Add raisins and set aside once they swell. Boil milk and mix into the atta. Stir continuously, till the mixture becomes pasty and has no lumps. Finally you can add mashed apple/banana/cheeku/grapes to the halwa. 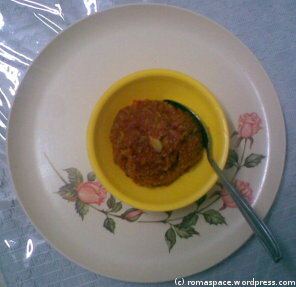 You can use fine rawa instead of wheat flour in this halwa. Soak rice for an hour and wash till milkiness goes away. Heat 1.5 tablespoons of ghee in a cooker and fry the rice for sometime. Add 2.5 cups of water and pressure cook till rice is done. In a kadai heat remaining ghee and fry the badam, kaju and kismis in it. Once done, take them out of the kadai and fry the cooked rice in it. Now add 1 litre of boiled milk and mix well with the rice, stirring continuously. Once thick, add another 1/2 litre milk and continue to cook. Heat a small quantity of milk in a vessel and add the khoya to it after mashing. Let it boil once. Add this to the kheer and stir well with mathani (a long stirring rod with plates at the end). 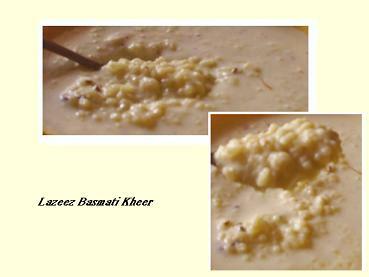 Mix kesar in small quantity of milk and mix into the kheer, stirring continuously. Once kheer is thick, add the fried dry fruits, sugar and teaspoon of ground elaichi and mix till sugar dissolves. Khoya needs to be boiled in small quantity of milk so as to ensure that it isn’t sour. If it is, the milk will split and the rest of the kheer will be safe. In this case you may have to try thickening with malai (cream of milk). The above recipe makes a thick kheer. If you like it thin, please add some more milk towards the end and boil well.